Eddie Hearn has hit back at Dillian Whyte 25-1 (18) saying the WBO and WBC number one contender has an inflated sense of his own value. Negotiations were underway to match the 30-year-old ‘Body Snatcher’ with unified heavyweight champion Anthony Joshua 22-0 (21) in a rematch at Wembley Stadium in London on April 13, but ‘AJ’ will now make his US debut instead when he takes on American behemoth Jarrell ‘Big Baby’ Miller 23-0-1 (20) at Madison Square Garden in New York in June instead. Whyte and Joshua have history. In 2015 the pair engaged in an entertaining slugfest at the O2 Arena that ultimately saw Joshua prevail with a seventh round TKO. 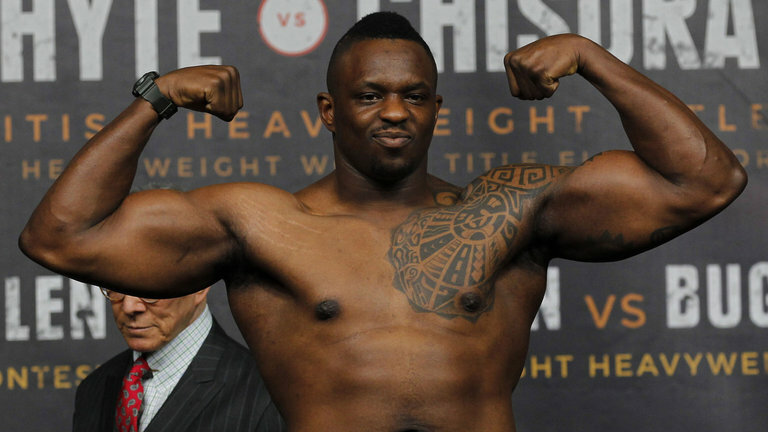 Whyte, 30, has strung together nine wins since then, including five by stoppage. “I think with Dillian, he believes he represents the same value as [Deontay] Wilder and [Tyson] Fury,” Hearn said to the Daily Star. Hearn revealed his plan to build Joshua into an international superstar and sees the Miller fight as the perfect opportunity to launch that ship. “Our strategy to bring Joshua to the US has come early, we thought it would be later,” Hearn continued. “But at the moment we can’t deliver the UK fans the fight they want, so we’ll box an American in his backyard.